Eight governments-in-exile based themselves in London during World War Two. The British Parliament had to ratify the Diplomatic Privileges (Extension) Bill in 1941, which would extend diplomatic protection to members of the resistance from various countries as well. London was home to governments and royalty from across Europe, including Poland, Norway, the Netherlands, Belgium, Luxembourg, Czechoslovakia, Denmark, Greece and Yugoslavia. Full diplomatic privileges were also given to the Free French movement, including General Charles de Gaulle. The British government continued to have relations with the French Vichy regime, which was backed by the Nazis, so it could not officially recognise Charles de Gaulle’s authority. So the Free French forces were left in limbo, but they did play a crucial role in liberating Europe from the Third Reich. London became known as ‘Miniature Europe’. Royalty from Albania and Abyssinia also sought refuge in London. The Czechoslovakian government was the first to arrive, as the Germans forced President Edvard Beneš to resign. He lived in Putney, South West London, and a number of his fellow politicians and military officials joined him. The Czechoslovakian military intelligence was based in West London, where they planned and directed the assassination of Nazi SS officer Reinhard Heydrich. 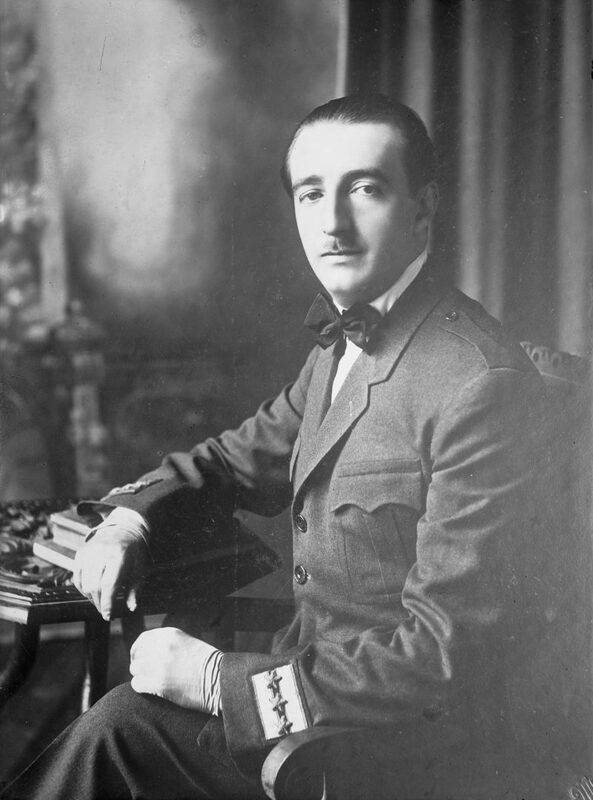 After France had fallen to the Nazis in 1940, Polish Prime Minister Władysław Sikorski moved his government to London, since they had been based in Angers, France. They operated from Portland Place until the end of the war. Once Germany began to invade Norway in 1940, members of the Norwegian government and royal family removed themselves to exile in London’s Kensington and Prince’s Gate. Two weeks later, Belgium’s ministers and officials began to trickle into London, with Belgian Prime Minister Hubert Pierlot finally joining them in the autumn of 1940, the Londonist reports. Luxembourg, the smallest nation of the Allies, established their government-in-exile in London at the end of 1940. The Dutch government had already relocated to London in the spring of 1940, but they had not been officially recognised as representative of the Dutch people. It wasn’t until 1941 that the British courts ruled that they were recognised as Holland’s government-in-exile. The Netherlands’ Queen Wilhelmina also resided in London for the entire period of the war. The Dutch resistance also made London its headquarters. Members would meet in Soho to plan and discuss their missions. By the autumn of 1941, the Greek government and royal family arrived by boat in Liverpool. The Greek royals joined many of the other European royals residing at Claridge’s Hotel in central London. '); */ } if (newcnt < 8) var tid = newcnt; else var tid = '7-'+parseInt(newcnt - 6); var elid = 'proper-ad-warhistoryonline_content_'+ tid; res = res.replace("
'); newcnt++; var laz2 = elid; // var tid = parseInt(Math.floor(Math.random()*2) + 2); // elcnt[tid]++; // res = res.replace("
'); // var laz2 = 'proper-ad-warhistoryonline_content_'+ tid + '-' + elcnt[tid]; res = res.replace("